The first thing you must do when looking for a clicking sound is determine when you hear the noise, and from what area it is coming from; front, rear, left, right, and which way you are turning the car. If you are having a tough time locating the area the noise is being produced from have a helper ride along in the rear seat to give a new perspective on the origin of the noise. Once a clicking sound has been detected action must be prompt to avoid further damage and a possible break down. Some clicking noises are normal such as: electrical relays, emergency flashers, turn signals and the air conditioner when first turned it on. The list below contains the most popular clicking sound while turning problems. 1. 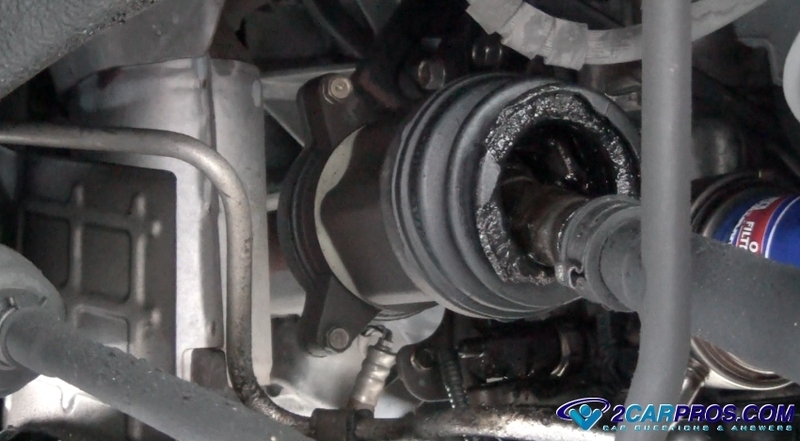 CV Joint Failure: Most cars have four or more CV joints which are used to transfer engine power to the wheels. When these joints go bad they will make a clicking noise and more so when turning right or left, or when accelerating. They can also bind up on acceleration and when turning tightly. This can cause a vibration in the front suspension that transfers to the vehicle. This problem can be due to lack for grease or the CV joint is just worn out and needs replacement. There are two ways to fix this problem. You can either replace the entire axle which is recommended. Or if you want to try and save some money you can just purchase the CV boot kit. We must warn you though once the CV axle starts to make noise most of the time a new CV boot will not help. The videos below show both jobs being done. 2. Bearing Hub Failure: An axle hub bearing is designed to shoulder the load for your car while allowing the wheels to rotate. When an axle bearing hub fails it can create a clicking sound while turning and going straight. If you have a truck with large tires it will make this bearing go out often. This noise can change as you turn the car left or right. 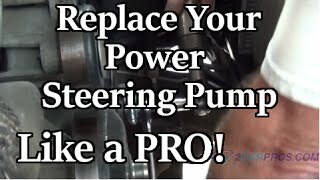 Here is a video that show you how to replace the bearing hub in about 30 minutes. 3. Loose Wheel Lugs: Lugs nut are designed to hold the wheels of your car onto the axle or brake rotor. When these lugs come loose they allow the rim of the wheel to move slightly which makes a clicking sound. Using a torque wrench or breaker bar check the lugs nuts of each wheel to check their tightness. If you are using a torque wrench most lug nut need to be tightened between 80 and 90 foot pounds. If the lug nuts have been loose for an extended amount of time it could allow the wheel to come off while damaging the rim or wheel studs. 4. Broken Sway Bar Links: Most cars have a sway bar which does exactly what it name implies, helps control the sway of the car when cornering. This sway bar has links on either side which have rubber insulators at either end. When these insulators wear out it allows the metal of the link to contact the sway bar or the control arm which can make a click sound when turning. Inspect your sway bar links for both the front and rear of the car to check for this condition. 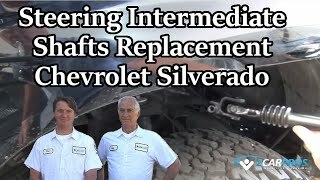 The video below shows you how to replace a typical sway bar link. If you have any questions about clicking noises, please visit our forum. If you need car repair advice, please ask our community of mechanics who are happy to help. Our service is always 100% free.